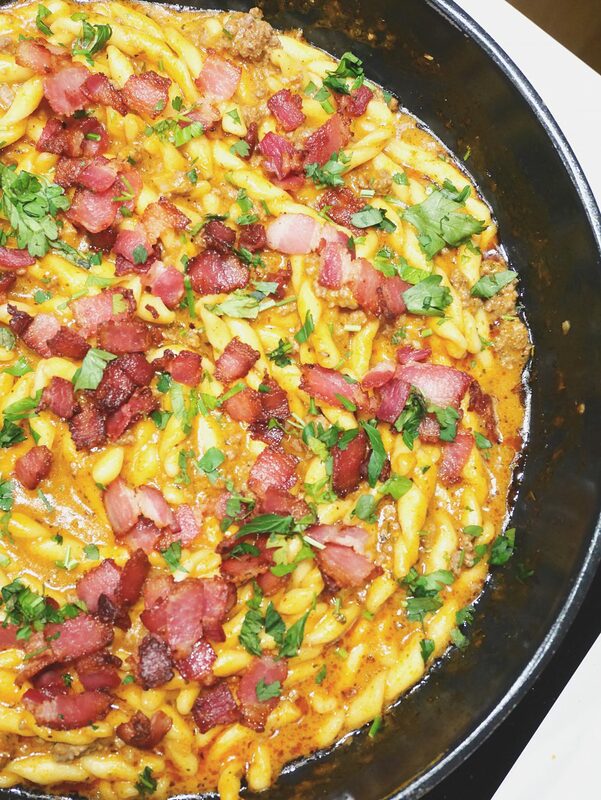 A simple pasta dish that is cooked “all-in-one”, in a creamy tomato sauce and it’s ready in only 30 minutes. 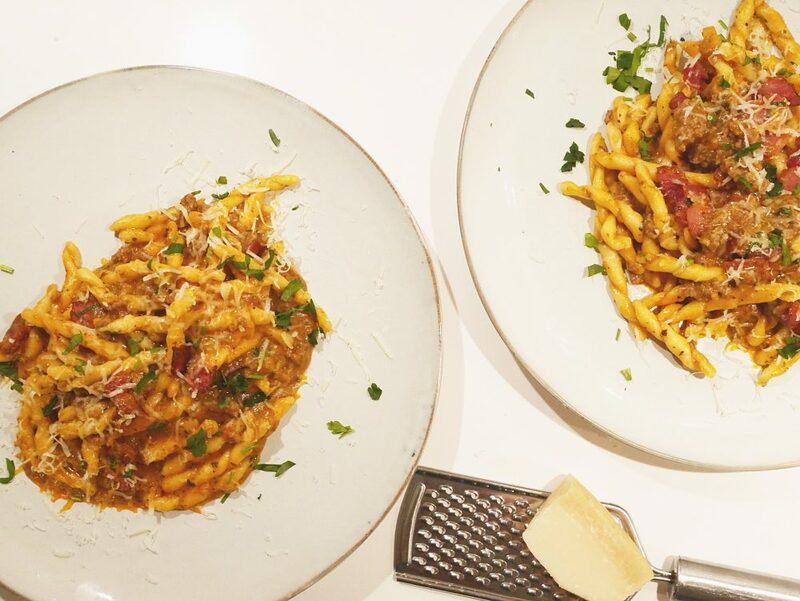 Here at home, pasta dishes are a huge favorite and I love to cook different kinds and this time I wanted to try something a little different. 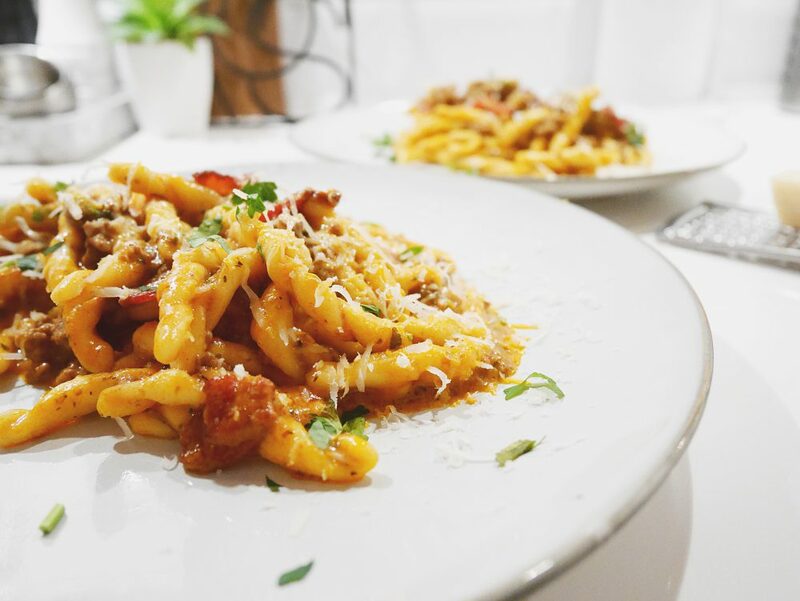 I made a creamy tomato sauce instead of the usual red sauce. 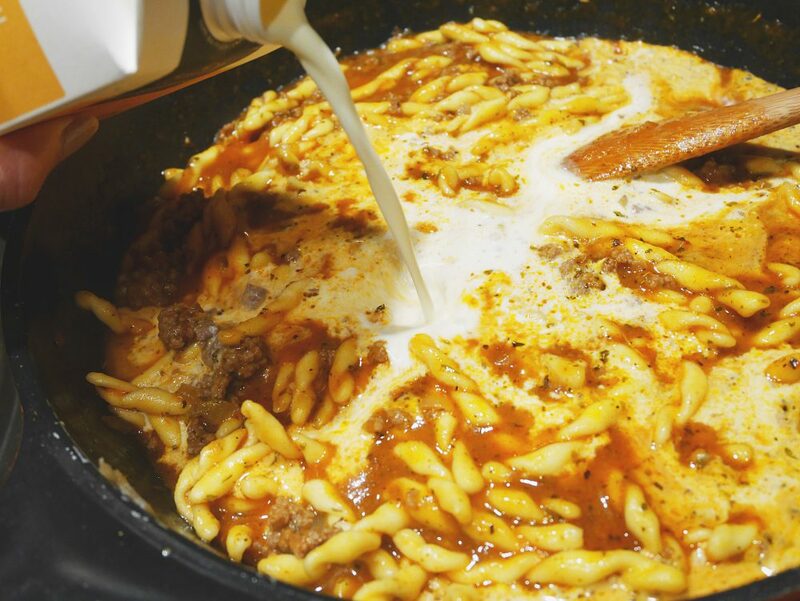 I cooked ground beef and pasta together, poured in tomato sauce and then added a little cream at the end. Easy peasy! 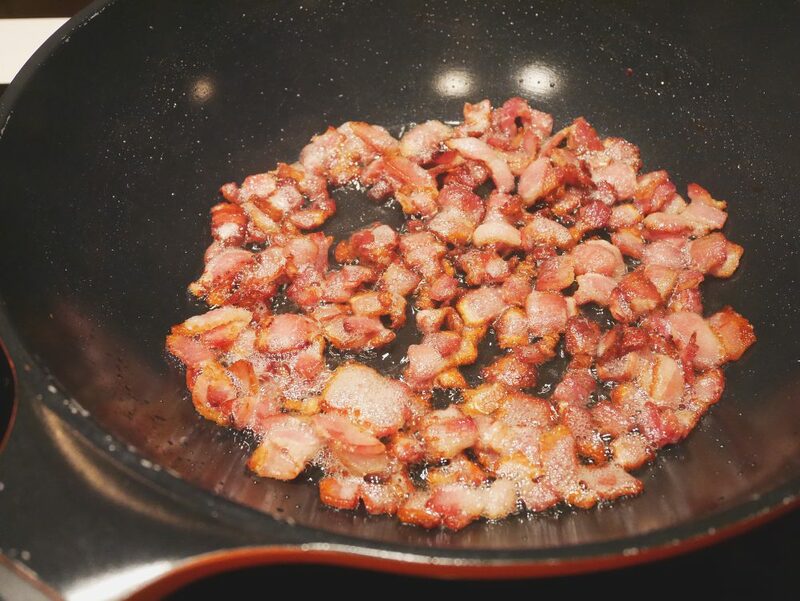 Start by cutting the bacon into small pieces and fry in a dry pan until they are crispy. Put them on a plate with kitchen paper. Set aside. In a large saucepan or frying pan, fry the onion in olive oil until soft. Add the beef and fry until brown. Stir in the tomato sauce, water and pasta. Cover and cook on high heat for about 10 minutes or until the pasta is “al dente”. Add the Italian spice, reduce the heat to medium low, and stir in the cream. Cook over low heat until the sauce begins to thicken. Taste then with more salt and pepper if needed. 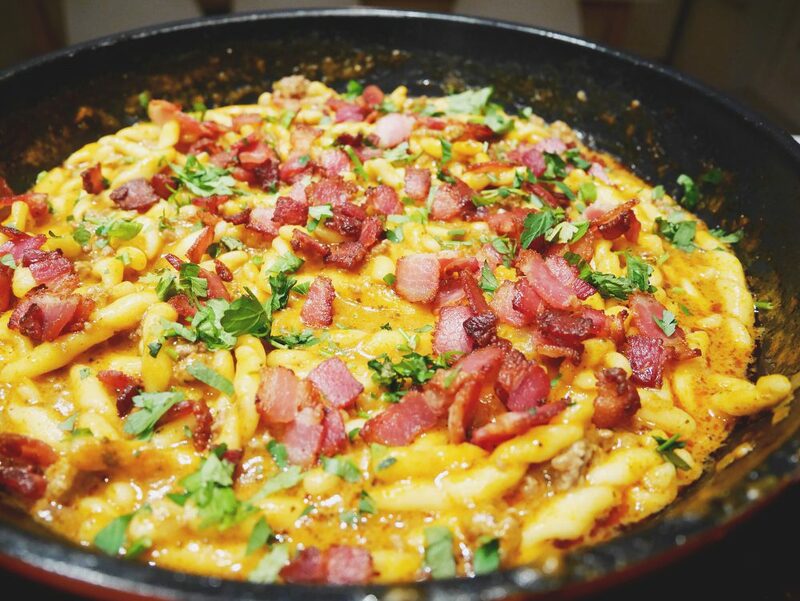 Sprinkle the crispy bacon and chopped parsley on top of the pasta and serve with freshly grated Parmesan cheese.